Nearly three quarters of U.S. households subscribe to high-speed, broadband Internet service, and most of them are blanketed in Wi-Fi networks. Most households, in other words, are already high-speed Internet gateways, and Americans are increasingly filling them with more connected devices, expanding the universe of products — smart appliances, streaming media players, smart thermostats, and “traditional” networked devices like computers and mobile devices — that can communicate with each other and the Internet. 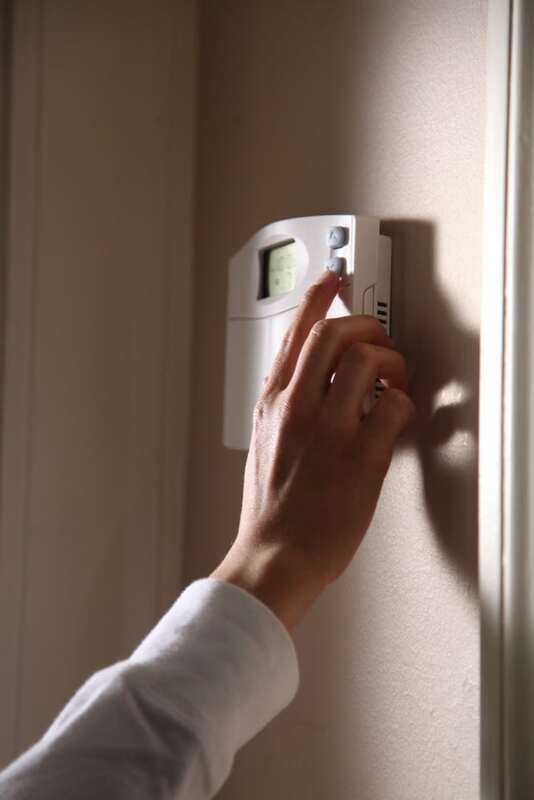 Homeowners use networks for a variety of purposes, including security, productivity and entertainment, but as network connectivity and control expand to large residential end uses like appliances, heating, air conditioning, lighting and electronics, these networks can increasingly be leveraged for energy monitoring. These home energy networks connect energy-using devices to provide services related to the consumption of energy. At their most basic, home energy networks provide information on energy use and control over connected devices. Forget to turn off the lights or turn down the thermostat before going on vacation? Need to see how much money you’re spending to run laundry equipment? With home energy networks, there’s an app for that. Advanced home energy networks can analyze use trends, suggest behavior changes, automate/optimize the setup of certain devices and frequently provide mobile apps to centralize settings and controls. A well-known example is the Nest Learning Thermostat, which users train to recognize their temperature preferences and away-from-home schedules. The more complicated the network and the greater number of connected devices, the deeper the potential energy savings and the more sophisticated these “orchestrations” become. In the most advanced systems, homeowners can create scenarios that effectively provide a “sleep” or “standby” mode for the entire house. Home energy networks require a lot more than a smartphone and software wizardry. There can be significant hardware investments. Often systems cannot effectively communicate between manufacturers. Of course, some systems will be difficult to set up and configure. But some can be up and running in under two minutes. The combinations of systems are almost endless, and the array of options can be confusing. New players are constantly entering the market offering the killer app to solve all of your home networking problems. Anyone looking to automate their home or monitor their home remotely should first ask what one or two things they really want to use — not what is trendy, but what is practical and useful. If your schedule is unpredictable, then a smart thermostat may be the best option. It will help you to make your home comfortable when you arrive while saving money when you are away. If you entertain a lot, then one of the smart lighting systems may be the best bet. They allow you to change the light output and color based on how you are using the room. They can help you make the room more romantic for that special someone or set the right light level for watching a movie. Big box stores are devoting prominent shelf space to a plethora of home energy network systems and devices. The challenge for consumers will be to find systems that perform a useful function and can be installed without having to consult customer support — or a third grader. Brian Sloboda is a senior program manager specializing in energy efficiency for the Cooperative Research Network (CRN), a service of the Arlington, Va.-based National Rural Electric Cooperative Association. Laura Moorefield is the founder Moorefield Research & Consulting, LLC in 2013. She currently resides in Durango, CO and is a member of La Plata Electric Association. Peter May-Ostendorp is the founder of Xergy Consulting in Durango, CO and is a member of La Plata Electric Association.